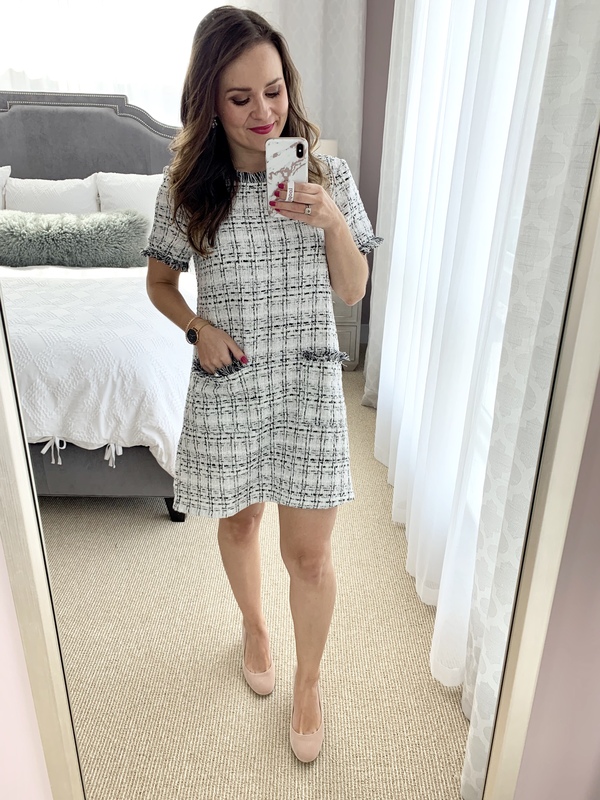 SHEIN BLACK & WHITE TWEED DRESS | I can’t get over how cute this dress is!! Such a cute and classy dress for spring and I can’t wait to rock it as soon as the weather warms up. Plus it’s only $13! You can see the full outfit post here. 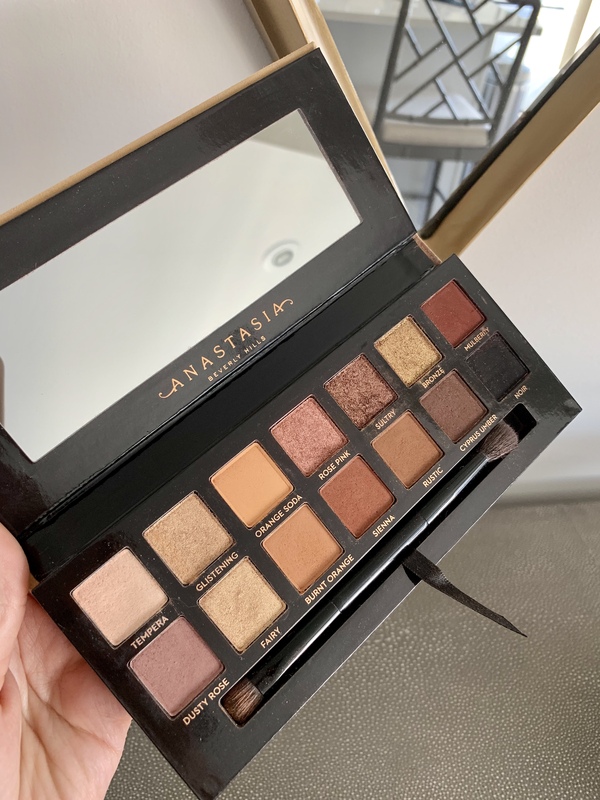 ANASTASIA SOFT GLAM PALETTE | Ryan got me this eyeshadow palette for Christmas and I have been loving it!! It has such pretty peach, plum & brown shades and I really like the brush as well. 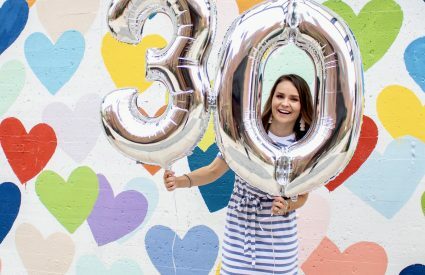 CORAL TASSEL EARRINGS | The SugarFix collection at Target is your one-stop shop if you’re looking for on-trend statement earrings under $20. Ps. 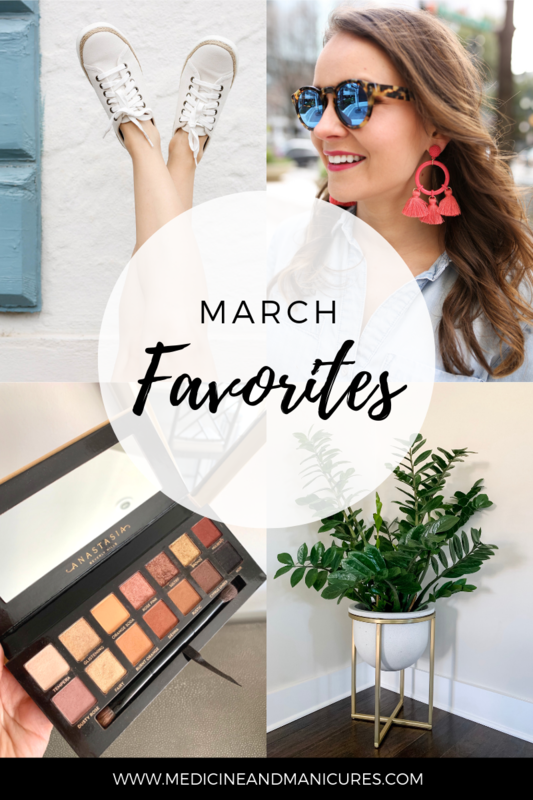 You can check out my roundup of spring statement earrings under $50 here! 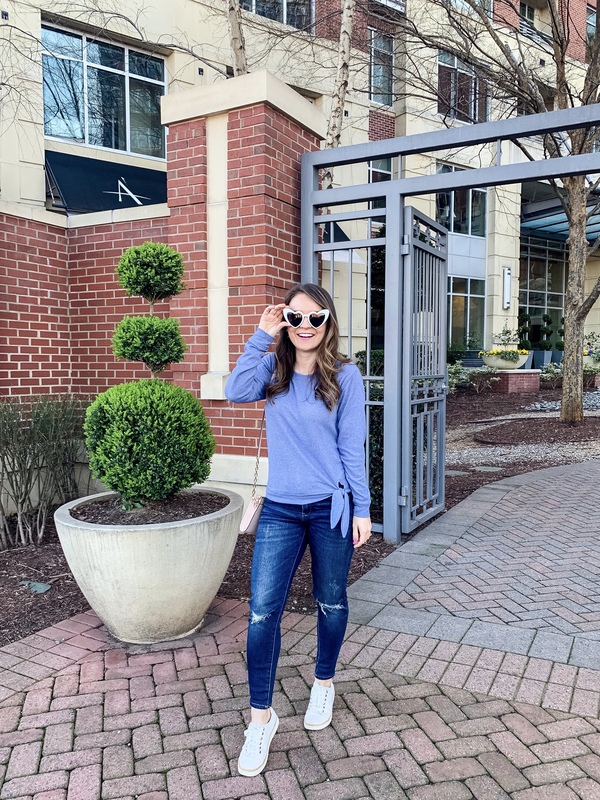 SIDE-TIE SWEATSHIRT | This is a great lightweight spring sweater that works for the transitional weather we’re having. The material is super soft & cozy and I love the tie on the side. It comes in 4 colors and would look super cute with jean shorts as well! 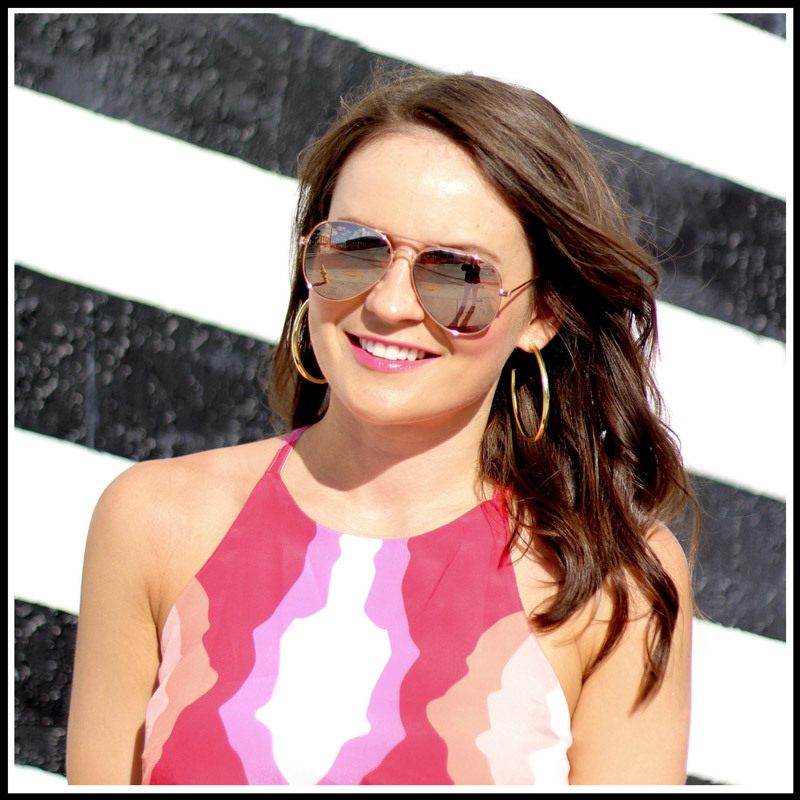 HEART SHAPED SUNGLASSES | I have been seeing these fun sunnies everywhere so I had to break down and give them a try… and I love them!! I got a 2-pack for only $16, you just can’t beat that price! They come in several other colors as well and will be so fun for summertime pool days. WHITE CANVAS SNEAKERS | I got these sneakers last summer and have been wearing them on repeat ever since! I think they are a staple for the spring & summer seasons and pair so easily with shorts, jeans, dresses… you name it. Vionic is known for their comfort and these shoes have really molded to my feet over time and I love the jute border around the sole. Can’t recommend these enough if you’re looking for a classic canvas sneaker! 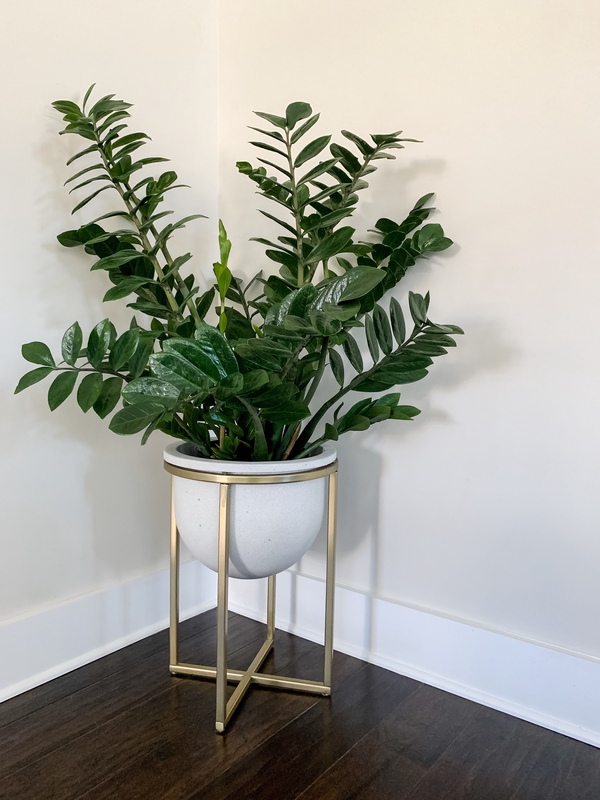 ZZ PLANT | Spring is here and if you’re looking to update your home with a few houseplants, I can’t recommend this one enough! It has been going strong for 2 years and barely requires any maintenance. I read online somewhere that it “thrives on neglect” so if you don’t have a green thumb, don’t rule this one out! It doesn’t need much light and requires minimal watering. CROSS BASE STANDING PLANTER | Elevated planters are great when you want to give your houseplants a little boost. This white and gold planter matches our decor perfectly (it also comes in black) and it’s actually on sale! This is the medium size and great for our little ZZ plant. It doesn’t have a drainage hole but I just keep the plastic dish underneath the plant so the water drains in there. I have been searching for a planter just like yours! Absolutely love it. Have to check out that Anastasia palette too! That tweed dress is sooo cute! And loving the sneakers. I need a pair! That tweed dress is the cutest! I can’t believe it’s only $13! Such a steal! Your tweed dress is so darling! Loooove tassel earrings so much, got to get me these. I’m loving that ANASTASIA SOFT GLAM PALETTE! The colors are gorgeous. I am LOVING your sneakers. Super cute. Can’t have enough of them. LOVE these kicks! 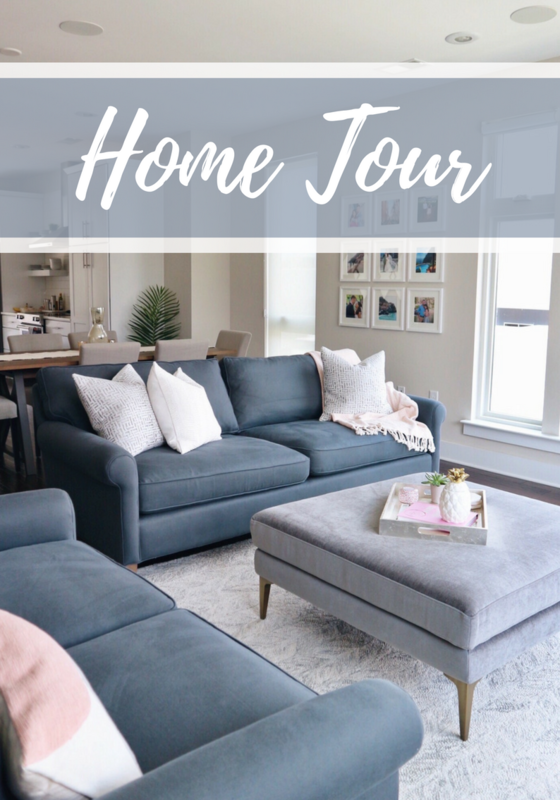 So many great pieces here! 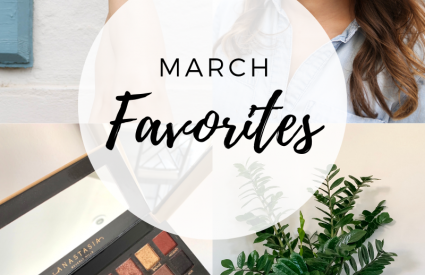 I love a good monthly round-up! I’ve had my eye on that palette for a while now and think I might just take the plunge now! So many cute things here. 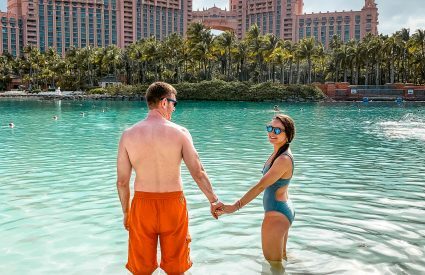 Hope you’re having the best time in the Bahamas! 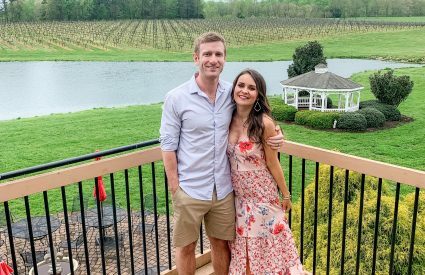 So much goodness in one post! I love love that dress (so Blair Waldorf) and your cute white shoes! That plant and planter are fabulous too! Haha, your neglected plant does look gorgeous, and so does the plant stand!